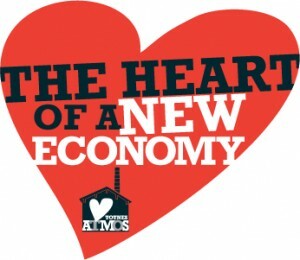 ‘Atmos Totnes: the heart of a new economy’ campaign launched! 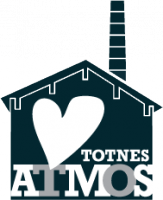 “A Totnes-based community group that has spent the past 5 years working to bring the former Dairy Crest site (adjoining Totnes station) into community ownership has announced the launch of a 6 month campaign, launching on March 21st, called ‘Atmos Totnes: the heart of a new economy’ (the name derives from the site’s history as home to Isambard Kingdom Brunel’s experimental ‘atmospheric railway’). 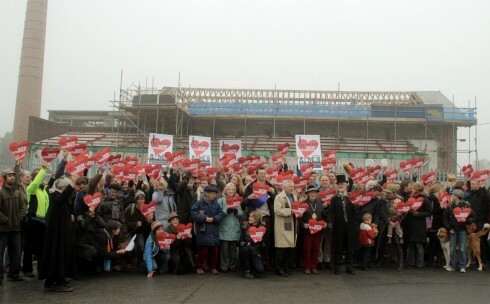 Frustrated by Dairy Crest’s reluctance to engage seriously with the community on the site’s future, the Atmos group, a project of Transition Town Totnes and the Totnes Development Trust, are launching a focused push to demonstrate the depth of community support for the idea. That if that application is successful, Dairy Crest agree to a model whereby they get a ‘clawback’ on each phase of any development, rather than requiring purchase of the site up front. That Dairy Crest makes the Brunel building sufficiently safe that a series of public events can be held in it by the end of the campaign. “What we are asking”, Rob Hopkins of TTT told us, “is that Dairy Crest stands by their corporate commitment of recognising ‘that the company has a valuable role to play in the life of the local community’. We live in a time of localism, of communities now having a ‘right to buy’ and also a ‘right to try’. We are exercising those rights. Dairy Crest have tried and failed to sell this site to developers. We are where the passion, the ideas and the vision for the site are, and we represent the best way for Dairy Crest to be able to unlock any value from the site. It’s time to make this happen”. 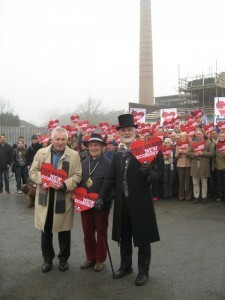 How the Brunel building (seen behind the campaigners in the photos above) could look... (LED Architects, Totnes). 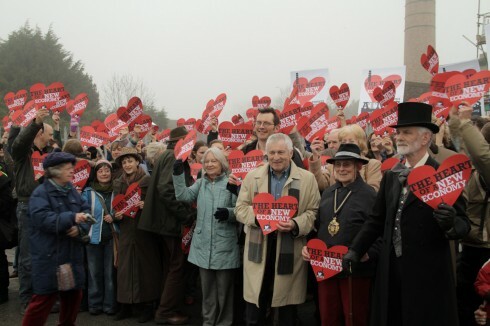 The campaign has two Patrons, Dr Sarah Wollaston MP and the BBC’s Jonathan Dimbleby. Dr Wollaston told the Totnes Times “I see this as a real opportunity to show what can be achieved when communities act together to bring out the best from a development putting sustainable projects at the forefront”. Jonathan Dimbleby said “this site is a dilapidated eyesore at the moment but has the potential to enrich the town’s great cultural heritage. It offers a form of sustainable development by the community for the community is a way that will enhance the lives of everyone”. The Atmos group’s vision for the site is that it be owned by the community and developed as the catalyst for a new economy for Totnes. It would be a mixed use development, combining affordable housing, local food processing, brewing, baking, an incubator for new businesses, space for a wide range of enterprises, space for public events and much more. Being next to the station it would become a national icon for low carbon building, putting Totnes on the map as a centre of innovation and sustainability. Ed Vidler of Totnes Development Trust, told us “the Dairy Crest site is virtually the only major development site left in Totnes not optioned to developers. We think we can do something extraordinary on there, something that is a catalyst for a new economy in this town. One based on community support, local food, incubation of new businesses, entrepreneurship. Given the opportunity, this could be a national exemplar”. The Atmos group’s work has been supported by funding from Community Builders, and has had the input of many experts in the field of community-led development. They have created a website, www.atmostotnes.org, where they are inviting members of the community to also post their visions for the site and to register their support, as well as keep up with latest news and developments. Users can also download a more detailed brochure outlining the group’s vision and proposals for the site. Every day a new voice from the community will be added to the site, giving a different perspective on how they would like to see the town developed. Thanks to Emilio Mula and Jane Brady for the photos. Lovin’ it. just perfect timing. 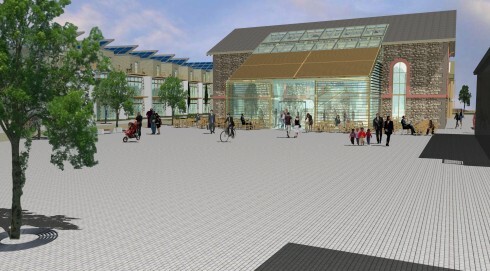 Linlithgow needs the same type of project and strategy. Hope we can copy-n-paste and learn from your project. All the best. another excellent website and brand. Really well done. Congratulations Atmos! Brilliant. So proud. Thanks Jonathan Dimbleby, Sarah Wollaston and Judy Westacott. With such weight, momentum and zeitgeist behind it, Atmos really deserves to succeed. And that’s important not just for Totnes and district but for the inspiration it gives to others. This is an inspirational project and I want to follow its progress all the way! Well done everyone involved in Totnes for getting to this point, it must’ve been a huge amount of work even before ‘starting’. I can’t imagine this will be anything but a success and it’ll be so iconic being next to the station. An inspiration to everyone, look forward to hearing about progress.